Family Medical Group is now live with our patient portal. This allows our patients to communicate with Family Medcal Group for non-emergency messaging, requests for appointments and to receive copies of labs and test results. Please talk to your provider and ask them to email you an invitation to sign up for online access. Below is the link to our patient portal. Our office is located one block north of Emanuel Medical Center and across the street from the Emanuel Cancer Center. We offer on site digital x-ray in addition to same day appointments at our Same Day Care office. We are open Monday-Friday from 8:00 am to 5:00 pm. We are closed from 12:00 pm to 1:00 pm and from 12:00 pm to 2:00 pm on Tuesdays. We offer same day appointments for medical care at our Same Day Care office. 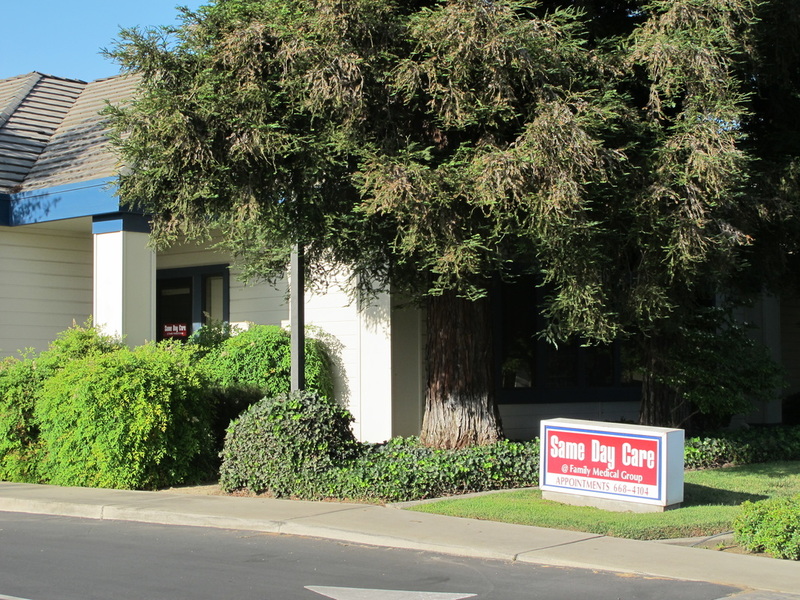 Same Day Care is open 7 days a week and offers x-ray services as well as care for minor injuries and illnesses. Call 209-668-4104 for a Same Day Care appointment.